Due to some events and shifts in my personal life, I haven’t had the opportunity to post for awhile. Now that everything has calmed down a tad, I’ll be getting back to more frequent posts. However, for those of you who kept visiting and patiently waiting for new content, I wanted to jump back in with something different. 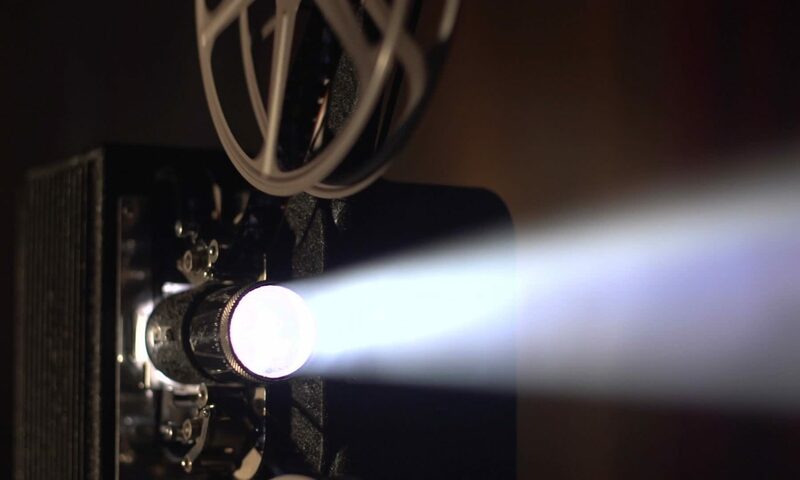 Introducing Special Reviews (marked as Special under categories) which will be reviews and posts will be made that don’t necessarily fit with The Dusty Reel’s usual content. As a first item in the section, we’re going to look at Boom! 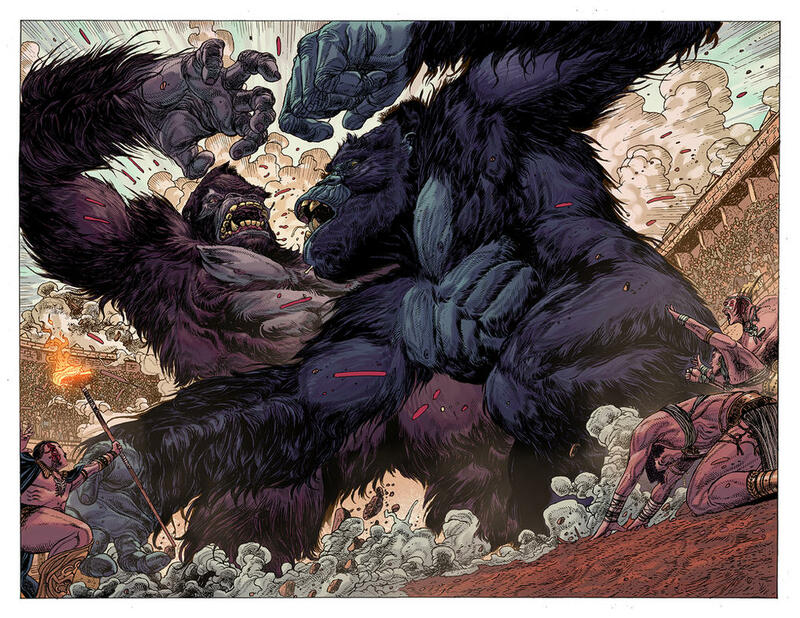 Studios recent 12 issue comic series, Kong of Skull Island. It probably won’t be very surprising for many of you to find out that, on top of retro games and odd movies, I have a soft spot for comic books. I’m not one who necessarily goes for the ultra rare single issues in shrink wrap, and I tend to prefer just getting the trade paperbacks of series I’m interested in, I still thoroughly enjoy them whenever I take the time to seek them out. One day, as I was browsing to find out the Blu Ray release date for Legendary Studio’s recent Kong Skull Island movie (which I enjoyed immensely) I stumbled across a listing for the trade collection of the first 4 issues of Boom! Studios Kong of Skull Island. 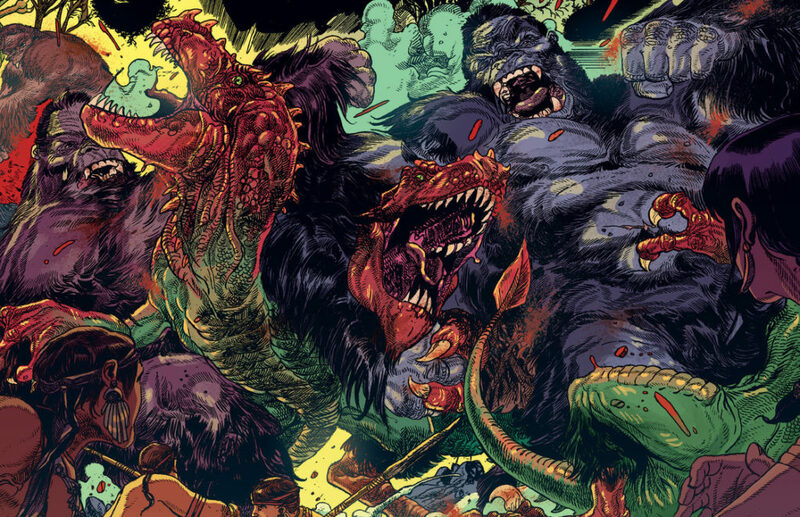 The artwork and the very concept of a Kong comic series caught my eye, so I decided to look a little further into it…and could find very little. I suppose having a name so similar to a major Hollywood Blockbuster tends to relegate smaller products to obscurity but, to my surprise, whenever I did see a review or thoughts on the series, they usually didn’t have much to say. As a result, I ended up just deciding to purchase the first book and dive in blind. What is Kong of Skull Island? 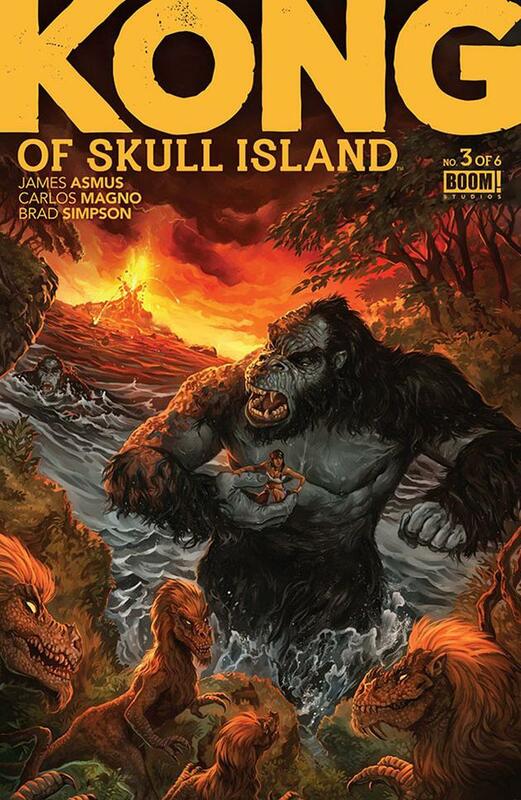 Kong of Skull Island was a 6 issue (later made into a 12 issue) comic series by Boom! Studios that acts as an origin story to the original King Kong. It does this by using much of Joe Devito’s excellent Kong of Skull Island book and lore (which, sadly, I’m not as familiar with as I’d like to be). What caught my eye for it in particular is Boom!’s proud announcement that this series was approved by the Cooper Estate (the estate of Marian C. Cooper, King Kong’s original creator) as the official origin story of Kong. What is Kong of Skull Island About? Kong of Skull Island is set well before the events of the original King Kong story, and covers the origins of the Tagu-Atu people, who would later become the island natives, and their reason for coming to Skull Island and subsequent struggle to survive the beasts that reside there (which they call demons). It also goes into the origin of the Kongs and the nature of their unique relationship with the Tagu-Atu people. What Happens in Kong of Skull Island? As always, I’m going to do my best to avoid spoilers in this review. However, given the very nature of the story and the way it’s laid out, some are inevitable. So, if you want to go in blind and experience everything fresh, I would advise skipping to the *s bellow. You’ve been warned. Originally, the Tagu and the Atu people lived on a different island, and were the somewhat degenerated descendants of a mysterious ancient civilization. This civilization was responsible for creating the Kongs. However, as the centuries passed, the people split into two tribes with a somewhat strained relationship. The Atu people stayed on the main island, and believed in a pantheon of gods who had selected a Shaman, who was in reality self serving, as the people’s leader. The Tagu, on the other hand, believed in one god and were loyal to their king. Because the Atu had won the right to feed their people and their Kong on the island itself, the Tagu were forced to construct large ships and sail the seas in search of pastures for their own Kong. During one of the tournaments, in which Tagu and Atu Kong fight to settle disputes between the two tribes, the Atu Shaman reveals to the Tagu King that the island volcano is active at soon to erupt, wiping out all life. In order to save the people, the King and Shaman agree to work together and use the Tagu ships to evacuate those they can save, and further agree that the Shaman’s daughter and King’s son are to be married in order to unite the people. However, a Tagu expedition returns in time to warn the leaders that, if they do not wait for the winds to change, the ships and their passengers will be forced toward an island of demons. Skull Island! On its own merits, the story told in Kong of Skull Island is an interesting and a thought provoking one. It’s clearly well thought out, and is surprisingly deep and thought provoking and deep when it gets going. However, the start is a little rocky. Kong of Skull Island’s biggest problem is easily one of pacing. This isn’t nearly as apparent when the people reach Skull Island, but it’s quite jarring in the first few issues. Who’s who and where they are going and why are hard to follow on a first read through and, until you have one or two rereads under your belt, it’s not always immediately apparent what exactly you’re looking at. I actually found myself, a few times, needing to go back and make sure I understood something that happened a page or so back. Again, this problem is lessened with rereads (which is worth it) and the farther into the series you go, but it’s still a big problem. I think that the images I’ve posted here are fairly self explanatory. Kong of Skull Island artist Carlos Magno creates some absolutely stunning images here. There were times, especially with splash pages, that I just had to sit their and gaze at them to take in all of the detail. However, the artwork can, at times, feel rushed. That’s fairly common place with this sort of medium (there are monthly deadlines after all) but it’s still worth mentioning. The area where it’s the most noticeable is on the human characters who, without a few reads and careful observation, can sometimes look so similar that I forot who was who. Fortunately, most of them have distinct wardrobes and color artist Filipe Massafera was wise enough to give the Tagu and the Atu different colored garb (red for Tagu and blue for Atu). Still, the artwork really is stellar when and where it counts, particularly on the Kong and the prehistoric inhabitants of Skull Island. I will admit that I wasn’t a huge fan of how the Kong’s faces were depicted at first but, as I read on, they grew on me. 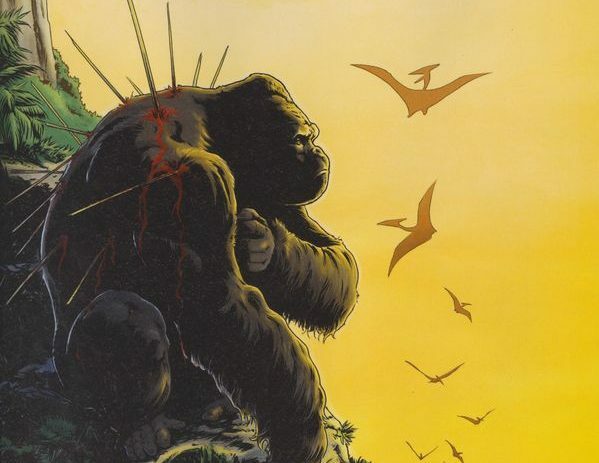 Is Kong of Skull Island a Good Comic Series? I’m not familiar enough with comics to compare Kong of Skull Island with many of them, but I can comment on it as it’s own work. Kong of Skull Island is a fantastic series that stumbles somewhat right out of the gate. I would assume that many major comic book enthusiasts might not give this one a second look after the bumpy first issues. However, for those who decided to give it time and stick with it, there really is something special here. On top of that, there really were moments that had me gasp in awe (and not just in the artwork department). If you’re a fan of the original King Kong or even Peter Jackson’s (underrated) remake I would highly recommend giving Kong of Skull Island a shot. I’m often wary of prequels (which have a bad tendency to remove mystery and give disappointing reveals) but this one is stellar for the story and lore alone. If you’re not a Kong fan, I think the series flaws will be harder to forgive. Still, if this review was at all intriguing to you, I think it’s worth taking a look. Pick up the first Trade Book like I did (currently only $10 on Amazon) and see if you like where it’s going.